Since when do the Romulans have warp drive? They must have acquired it at latest during their presumed brief alliance with the Klingons in 2267 when they were using Klingon ship designs with warp engines. But did the Romulans have warp propulsion back in 2266 or already during the Earth-Romulan War around 2160? Possibly warp drive was even known as soon as the schism between Vulcans and Romulans occurred 2000 years ago. The technological question may appear subordinate at the first glance, but it will turn out essential for our interpretation of Earth-Romulan and Vulcan-Romulan history. This problem has been debated by the fans for decades, and for some time it looked like the idea that they had no warp drive in the 23rd century prevailed. Only recently there is definite evidence of Romulan ships with warp drive as early as in the 22nd century, namely the Bird-of-Prey predecessor in ENT: "Minefield" and ultimately the drone in "Babel One". The discussion is closed. Nevertheless, some arguments may be still worth being taken into consideration. Kirk: "Well, gentlemen, the question still remains: Can we engage them with a reasonable possibility of victory?" Scott: "No question. Their power is simple impulse." Kirk: "Meaning we can outrun them." "Impulse drive" in Star Trek is much like a synonym for "sublight propulsion". 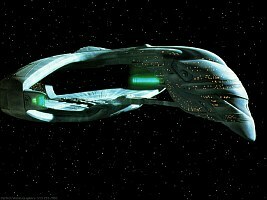 This is obviously the reason why the Star Trek Chronology as well as nearly the whole fandom for some time takes it for granted that this Bird-of-Prey of 2266 didn't have warp drive, and that the same should apply to the Romulan ships around 2160 -- considering that older ships are not likely to have more advanced technology. A conjectural ship of the latter era is depicted in the book, along with a caption that it has impulse drive only. The Star Trek Encyclopedia II abandons the reference to the Romulan-War era ships, for they were never on screen and are therefore non-canon. 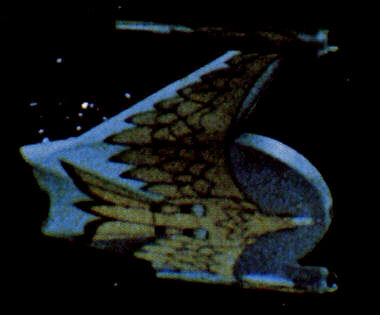 Moreover, in "Balance of Terror", Lt. Stiles mentions the bird-of-prey depiction on ancient Romulan ships, which fits the ship that appears in the episode but barely corresponds with the vessel shown in the Chronology. However, although its cylindrical structures on the wings strike as being warp nacelles, the Bird-of-Prey of 2266 is still described with the words "Propulsion was simple impulse" in the Star Trek Encyclopedia II. The Star Trek Fact Files agree that the Bird-of-Prey doesn't have warp drive. There is an immense deal of overinterpretation in the assumption that the Romulans didn't have warp drive as of 2266 just because of Scott's mention of "simple impulse". First and foremost, there is no reason why Romulan vessels other than the BoP shouldn't have warp engines. Maybe the impulse-only attacker was towed to the Neutral Zone by a warp ship. Another obvious objection is that the BoP's warp drive may have just been damaged or offline during the attack, owing to the extreme power expenditure of the plasma weapon. Finally, Scotty explicitly says, "impulse power", not "impulse engine". What if the ship does have warp drive, only not powered by antimatter but by a fusion reactor which would likely put a limit to the attainable warp speeds? Or already an artificial quantum singularity for warp power as in 24th century Romulan ships that Scotty didn't recognize as such and just suspected that it could be an impulse reactor? This all shows that the apocryphal idea of Romulan ships without warp drive put forward in some publications must be taken with a grain of salt. Spock: "The Valiant had encountered a magnetic space storm and was being swept in this direction." Kirk: "The old impulse engines weren't strong enough." It is possible that the Earth ship, launched as early as 2065, was really equipped with sublight propulsion only, which may lead us to re-evaluate Scotty's statement from "Balance of Terror". On the other hand, this would mean that the magnetic storm swept the Valiant all the way from close to Earth to the Galactic Barrier which the ship eventually traversed. This would be a stretch. So it seems more likely that, despite the problematic idea of early warp travels, the Valiant did have warp drive, maybe powered by a fusion (="impulse") reactor. Side note In a deleted scene of TOS: "Balance of Terror" Commander Hansen of Earth Outpost 4 explicitly hints at the similarity of the design of the Romulan ship to that of Federation starships: "You see it, Enterprise?! Starship design. Warn Earth... espionage, stolen our designs... traitors..." The supposition that the Romulans stole the design corroborates the notion that it must possess warp drive too, otherwise the similarity would be only superficial and mostly pointless. On the other hand, it gives rise to the question whether the Romulans had warp drive or not before they stole the plans of Starfleet ships. 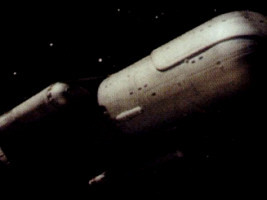 The deleted scene will be disregarded in the following, because in the episode as it actually aired no one will see the ship until some time later, and there is no comment on its design. Also, Lieutenant Stiles's suspicion that there may be Romulan spies aboard the Enterprise would make a lot more sense in this case. See more about the deleted scene at Star Trek History. The monastery of P'Jem was built around 850 B.C. (ENT: "The Andorian Incident"), and it is stated in the episode that it is a long way from Vulcan. This insinuates that the Vulcans had interstellar travel already then, even if the monks used an impulse-driven generational ship. Spock mentions Vulcan offshoots whose language was based on musical notes (TOS: "The Paradise Syndrome"). These offshoots don't need to have lived off-planet though. 2000 years ago the later Romulans separated from the Vulcans for they didn't agree with Surak's principles of logic or, as Spock presumed in TOS: "Balance of Terror", they may have been a forgotten colony from the pre-Surak age. It is unknown how far the distance between Vulcan and Romulus is or which kind of propulsion was used for the journey. If the distance is roughly 100 light years (which is the assumed operation range of Earth Starfleet around 2160), then ancient Vulcan sublight ships would have needed to attain an average speed of 10% of c at the very least, rather 20% of c, to arrive at Romulus in considerably less than 2000 years. It seems unlikely that this would have been possible without the knowledge of subspace technology to alleviate the relativistic effects. A war between the Romulans and the Vulcans was triggered by Quinn and lasted for a century (VOY: "Death Wish"). Since Quinn was arrested by the Q Continuum in 2072, this war must have taken place some time prior to this date. Unless it refers to the original Vulcan-Romulan schism, this must have been an interstellar war. 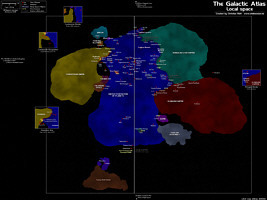 There are ancient Romulan remains on several planets, including Calder II, Dessica II, Draken IV, Yadalla Prime and Barradas III (TNG: "Gambit"). The latter was the home of the Debrune civilization, a previously known offshoot of the Romulans. Obviously none of these planets is within present-day Romulan territory. The Romulan War ended with a peace treaty negotiated by subspace radio and voice-only in 2160 (TOS: "Balance of Terror"). The Romulan Neutral Zone was established. 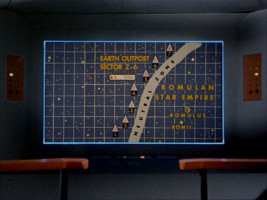 A map shows two points labeled as "Romulus" and "Romii", the Neutral Zone and the Earth Outposts, but no scale is indicated. In the spoken dialogue there are two planets named "Romulus" and "Remus". The Star Trek Encyclopedia suggests that Romii and Remus are identical. 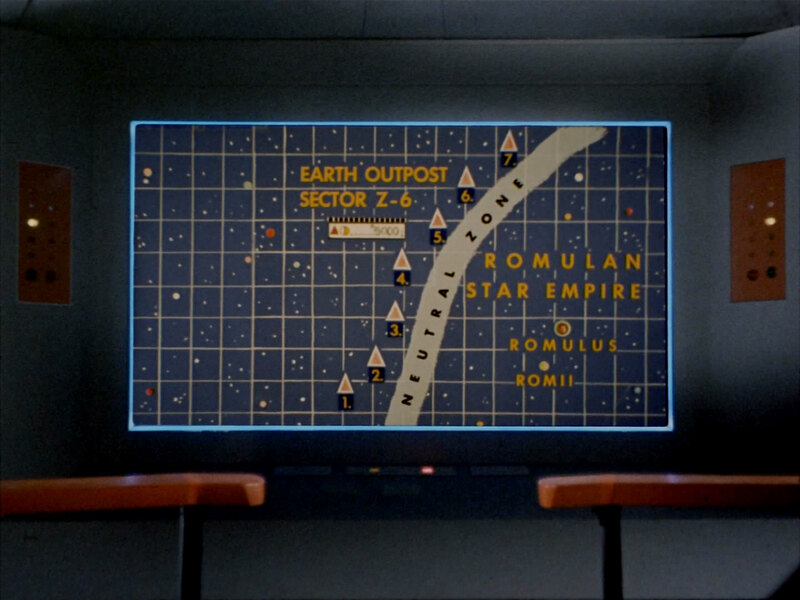 The distances between the seven outposts are about one grid point, the Neutral Zone itself is one grid point thick, and Romulus and Romii are four points from the Neutral Zone and a bit more than one point apart. 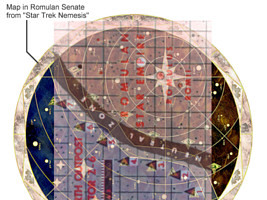 The map, slightly modified, can be seen on the floor of the Romulan Senate in "Star Trek: Nemesis". Romulus and Remus are actually two planets located in the same star system. Remus is inhabited by the Remans who are obviously not closely related to the Romulans and may be the native population of that planet ("Star Trek: Nemesis"). For more than a century after the war there was no contact between Romulans and humans. Even the basic physiology of Romulans being very similar to that of Vulcans remained unknown (TOS: "Balance of Terror"). Romulan ships identified as "Birds-of-Prey" and visually identical to ship in "Balance of Terror" chase the Enterprise when Commander Stocker orders to take a shortcut through the Neutral Zone (TOS: "The Deadly Years"). 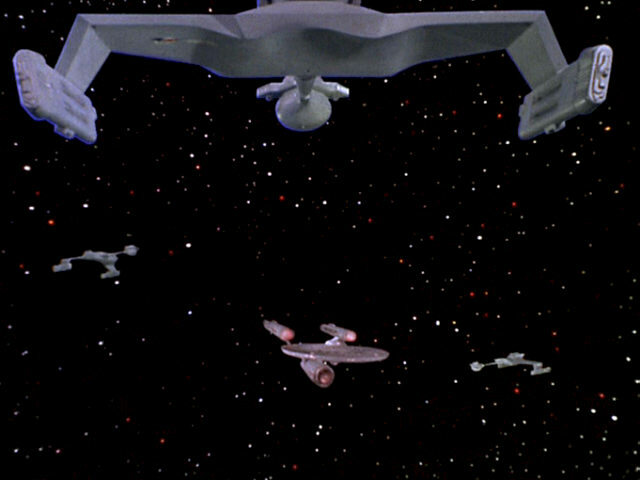 The Enterprise is obviously traveling at warp all the time, so impulse-driven ships wouldn't pose the slightest threat. The Romulans start using Klingon ship designs in 2268 (TOS: "The Enterprise Incident"). The Encyclopedia explains this as a brief alliance of the two empires, but there is no canon evidence for that. In "Star Trek: Insurrection", Dougherty says the following: "On Earth, petroleum once turned petty thugs into world leaders, warp drive helped to form a bunch of Romulan thugs into an empire. We can handle the Son'a, I'm not worried about them." Picard replies: "Somebody probably said the same thing about the Romulans a century ago." This seems to indicate that Romulans didn't have warp drive prior to 2275. On the other hand, this doesn't explicitly say that the Romulans didn't have warp drive prior to that date but just that it helped them subjugate civilizations with impulse-only ships. 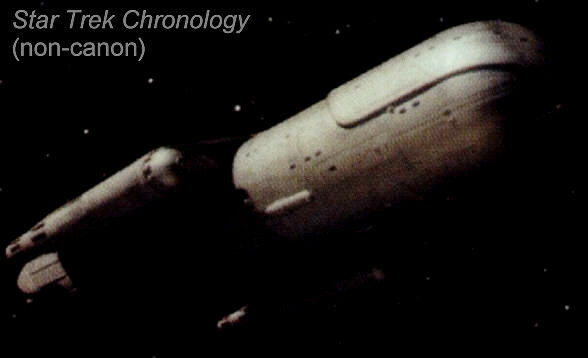 The Tomed Incident in 2311 was the beginning of another period of Romulan isolation (TNG: "The Defector", "The Pegasus"). Romulus is close to Earth and close to DS9 and can be reached in a matter of at most a few days (TNG: "Unification", DS9: "Inter Arma Enim Silent Leges"). Romulans and Klingons seem to know each other for a longer time than the Federation knows them. There is a common border and a latent conflict between the two races, with periods of war and of peace, even at least one alliance in the 24th century (TNG: "The Neutral Zone", "Yesterday's Enterprise", "The Enemy", "Redemption", etc.). More like a side note, the Romulan commander says in TOS: "The Enterprise Incident" that they had developed torturing techniques that would be very effective on humans. This may be taken as evidence that humans and Romulans did have previous contacts despite the statements from "Balance of Terror". In "Star Trek (2009)" Nero appears from the future in the year 2233 and attacks the Kelvin, altering history in a way that humans are aware of the look of Romulans prior to 2266. The question whether Romulans may have had warp drive at the time of TOS is not addressed, however. The political and historical impact of the warp drive question becomes obvious if we postulate that the assumption of the Star Trek Chronology is true. "The Romulans didn't have warp drive during the Earth-Romulan War and still not in the mid-23rd century." How did the Romulans get to Romulus in the first place? It would be strange if they first had warp drive when they left Vulcan and later abandoned it. 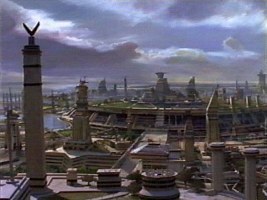 Why should they lose this key technology, although their civilization must have been thriving for most of the time, considering that an empire was established and the population increased from maybe several thousand, at the very most a million people to arguably billions of Romulan citizens? Therefore, if they didn't have warp drive in 2160, they couldn't have had it 2000 years ago either. 1. The trail the Romulans left on planets outside their empire points to a long travel to their later homeworld Romulus, a travel possibly with impulse-only ships. 2. A small and technologically limited civilization is more likely to go into isolation. The revelation that Vulcans are related to Romulans seems to be surprising in TOS: "Balance of Terror". Maybe the Romulans are largely unknown outside their star system, for the simple reason that they never had the technology to leave it. 3. The point called "Romii" on the map could be actually the planet Remus, maybe its indigenous name or a human abbreviation meaning "Romulus II = Rom II = Romii". Alternatively, it might be the name of the star system in which the two planets Romulus and Remus are located. In both cases the distance between them would indicate that the Neutral Zone is still inside the Romulus/Romii star system, or directly adjacent to it. 4. In addition, the mentioned time to reach the Earth Outposts would make sense. The Enterprise was eight minutes away from Outpost 4 at first, this would have been 3.5 days at Warp 8 (=512c) if one grid point were equal to 1 ly. 5. The Romulans may have acquired warp drive through their alliance with the Klingons, and Picard would be right with his reference about the Romulans "a century ago" in "Insurrection". 6. For what it's worth, the entry in the Star Trek Chronology could be correct. 1. A civilization without warp drive would not be capable of waging an interstellar war. It is highly unlikely that impulse-driven Romulan ships travel many years to attack the nearest Earth colony, let alone in a war that lasted only three years. 2. It would mean that warp-capable Earth forces first attacked outposts in the Romulus & Romii (Remus) star system, or the planets themselves. Even if they tried to declare it as a preemptive strike, they would have no reason to do so, unless Earth followed an aggressive doctrine of expansion for which there is no sign in Star Trek Enterprise. I don't like the idea anyway. Moreover, if Earth forces were superior, why didn't they just continue the war until Romulus was conquered? Establishing a Neutral Zone doesn't sound like a peace treaty dictated by the victor. 3. If the Neutral Zone (NZ) is very close to Romulus, then its size must have increased from TOS to TNG. 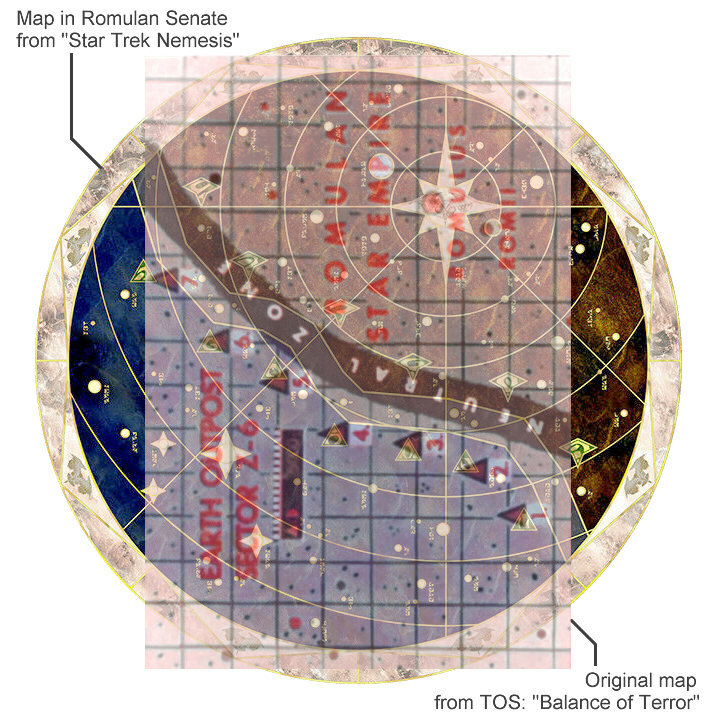 The NZ could be very thin and therefore close to Romulus in TOS, since planets in the NZ are not explicitly mentioned, but this is the case in TNG several times. Why should the prevailing Federation abandon a territory with Class-M planets that might be interesting for colonies or outposts? 4. Moreover, who should have hindered Earth from occupying all star systems around Romulus after the war in 2160? There would have been no chance to establish a multi-planet Romulan *Star* Empire after the discovery of warp drive, if Earth or the Federation had already held all the surrounding planets. The ongoing conflict between the Klingons and Romulans and especially the fact that there is a common border prove that the Romulans must be able (and have been able for a long time) to leave the Romulus system. 5. As of 2266, the physiology of Romulans was still completely unknown (TOS: "Balance of Terror"). If the war was going on inside the only Romulan star system and the Neutral Zone was very close to Romulus, it is ridiculous that the Federation couldn't find out anything about the Romulans in a hundred years. Especially if we consider the high standard of sensors established in Star Trek Enterprise. 6. While subspace radio may exist without warp drive, it is unlikely that the Romulans did have this communication technology, but no warp drive. Earth seems to have developed subspace radio much later than warp drive. The Horizon (TOS: "A Piece of the Action") only had a light speed radio beacon, while the Ferengi obviously still didn't have FTL sensing capability in the 2330's (Picard Maneuver in TNG: "The Battle"). On the other hand, maybe the Ferengi actually had FTL sensors, and these were only damaged in the battle. Enterprise NX-01, of course, possesses real-time subspace communication as soon as in 2151, but this is still another problem. 7. The scale of the map in "Balance of Terror" makes perfect sense at 1 ly per grid point. With an established maximum sensor range of a few light years and a bit of redundancy, 1 ly as on the map seems like the optimum distance for the Earth Outposts. The Neutral Zone would be 1 ly thick, easy to memorize for the humans who created it. It would also be plausible that there are several planets inside the Neutral Zone in the 24th century. Romulus and Romii might be two neighboring star systems. The many small dots could be other nearby stars, considering that the Galaxy is three-dimensional. If the region on the map were only a billion kilometers across (so one grid point might equal 1 AU), it would show totally irrelevant stars hundreds of light years "above" or "below" the Romulan star system, if the star density is that high at all. 8. The Earth Outposts are built on asteroids that would move considerably relative to the planet Romulus and around the Romulan central star if they were only a few hundred million kilometers away. This would invalidate the whole concept of the Neutral Zone, of course. It is unlikely that Earth forces stopped them and fixed them in space. 9. In the incident in TOS: "The Deadly Years", Romulan ships without warp drive would not have been capable of intercepting the Enterprise in the first place, and even the incompetent Commodore Stocker would have had no problem to outrun them. 10. The ultimate argument: The Romulans in Enterprise quite obviously do have warp drive, as first seen in ENT: "Minefield". The engines even look similar to the Klingon nacelles of the time, just as they will look similar to Federation design 100 years later. The Romulan marauder first seen in ENT: "Babel One" is unquestionably equipped with warp drive as well. There is more and much stronger evidence that the Romulans did have warp drive as of 2160 and the Bird-of-Prey should have had warp drive too. Especially the hard evidence from Star Trek Enterprise outweighs everything else, unless we resorted to absurd claims that the Romulan may have lost the technology until 2266. The "simple impulse power" statement by Scotty can be interpreted in that the ship has an impulse (=fusion) reactor as a power source, which need not have anything to do with the type of its engines. Alternatively, if the ship were really restricted to sublight speeds, this doesn't mean that no warp drive is installed or even that warp drive is unknown to the Romulans. It is just too obvious that the two cylinders are supposed to be warp engines. The only remaining problem is that the travel time between the Earth Outposts would be much longer than suggested in "Balance of Terror", but in my opinion this should be attributed to the episode's dramaturgy, while the map alone is absolutely perfect at a scale of 1 ly per grid point. As for the ancient Romulans, it is possible that they actually had impulse-driven generational ships, if the distance from Vulcan to Romulus is no farther than about 100 light years, for the civilization must be given enough time to develop on Romulus. This would explain the Romulan ruins that can be found on several planets in Federation space. I have based my version of Romulan history on these assumptions. About 2000 years ago, Surak's teachings gained acceptance and led the previously violent Vulcans a new logical and peaceful way. This process lasted a century, until the logicians eventually prevailed (the Time of the Awakening). In some unknown way, all this may have been triggered by a member of the Q Continuum. A small group of dissenters, counting several thousand, decided to leave Vulcan in sublight vessels. These vessels may have had subspace technology already, which laid the foundation of the development of a true warp engine. They were never heard of again on Vulcan until 2000 years later. Each generation reached a new planet where colonies were founded, but soon abandoned again. Barradas III, Calder II, Dessica II, Draken IV and Yadalla Prime were among them, and most of them are now in Federation space. They either subdued or merged peacefully with the resident Debrune civilization. This might be the reason why most, but not all Romulans have pronounced cranial bones unlike the Vulcans. Over five hundred years after their departure, the emigrants discovered the planet that should be later known as Romulus. Compared to the previous worlds, Romulus was a paradise, and the Romulans decided to stay. During the following centuries, the civilization flourished and grew very quickly. The barren neighbor planet Remus was within reach of the Romulan sublight ships and was conquered some time later. The Remans either come from this planet, or they are actually the indigenous population of Romulus and were later deported to Remus. The Romulans discovered warp drive at about the same time Cochrane did, or they acquired it from the Vulcan conspirators. They founded colonies in several neighboring star systems, including Romii. The formal name "Romulan Star Empire" came into use. At some time in the 2150's the Romulan Imperial Fleet discovered several possibly dangerous threat forces, including Earth and the Klingons. They subsequently attempted to destabilize the diplomatic situation sending out unmanned cloaked drones to attack freighters of the various civilizations. Thanks to the intervention of Enterprise NX-01 with the support of the Tellarites and Andorians the Romulan scheme failed. Seeing their Empire endangered, the Senate decided to conduct a preemptive strike against Earth and care about the Klingons later. Earth didn't anticipate the Romulan attack, but with the help of their new allies, Tellar and Andor, they could finally defeat the Romulans. The Vulcans only provided supplies, but never engaged themselves in the hostilities, well-knowing that this might lead to a destabilization of their now fragile society. Rumors that the Romulans might be the long-missing Vulcan emigrants were widely ignored for the alliance of Earth and Vulcan should not be endangered. Nevertheless, Starfleet was founded in 2161 against the wishes of the Vulcans, and relations remained problematic even a century later when Spock was in Starfleet. In 2266 a Romulan Bird-of-Prey equipped with a novel cloaking device and plasma weapon violated the Neutral Zone for the first time in a hundred years and destroyed four Earth Outposts (which were still called "Earth" and not "Federation" Outposts for historical reasons). This ship had warp drive which was necessary to reach the Neutral Zone, but could not use it while cloaked because of the enormous power consumption of the cloaking device. Thus, the cloaked ship was moving at impulse speed and didn't exhibit a warp signature. Moreover, it was likely powered by a fusion reaction (=impulse in Federation terminology) which led Chief Engineer Scott to the assessment that their power was simple impulse. More recent research, however, has found new evidence of a possible early version of a quantum singularity core aboard the Romulan ship in 2266, a technology which would have been undetectable in a standard sensor sweep. It is not even excluded that this quantum singularity, aside from generating power was really a part of the cloaking device. Hostilities between the Romulans and Klingons continued until a brief alliance was established in 2268. The Romulans acquired several Klingon ships with conventional matter-antimatter reactors, the Klingons received the Romulan cloaking technology in exchange. 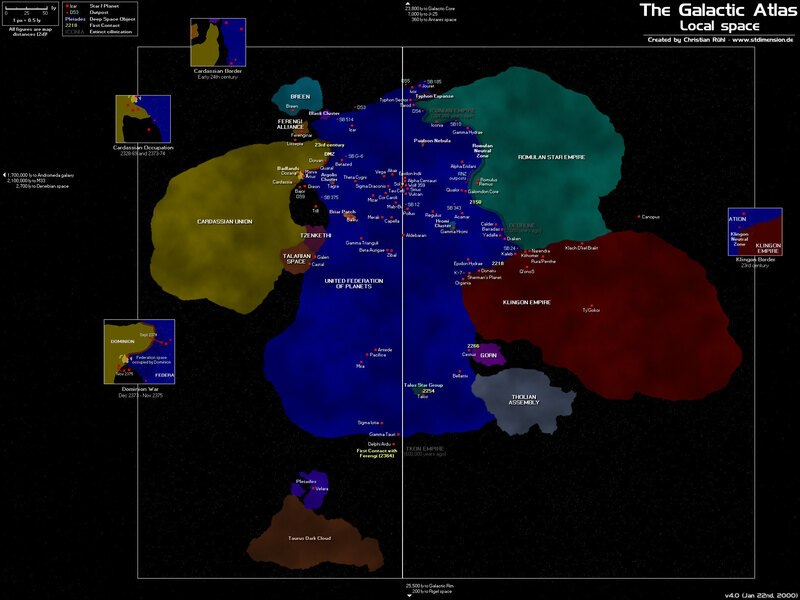 The alliance ended as soon as 2270 when the Klingons won the Battle of Klach D'Kel Brakt. Klingon technology helped the Romulans to significantly improve their starships. Nevertheless, the principle of a matter/antimatter warp core taken from the Klingons was later abandoned in favor of an artificial quantum singularity. Thousands of Federation citizens lost their lives in the Tomed Incident in 2311. This was the incentive for a new treaty in which the Federation was obliged not to employ cloaking technology, while the Romulans withdrew several territorial claims. It was also the beginning of a new isolationist period in which the Romulans focused on strengthening their position in the Beta Quadrant, on the opposite side of the Klingon and Federation borders. While the Federation easily accepted this policy, there were several Romulan conflicts with the Klingons during that time, most notably over Khitomer and Narendra III. The Borg attacks on several outposts in 2364 ended the isolation. I would like to thank Masao, Sol System, Kosh, TerraZ, targetemployee, TSN, Omega, jh, Warped1701, Baloo, The First One, Lt. Tom, Timo and Chronotis for many useful suggestions about Romulan history in the Flare Forums. I would also like to acknowledge Boris, captjim, GeneK, J, Ryan and Timo, among others, for their discussion of the topic in startrek.expertforum.ricksternbach. Special thanks to Christian for his great maps and for many facts about the distance to the Neutral Zone, to George Nicolaides for pointing me to the deleted scene from "Balance of Terror", to Raja for the quote from "Insurrection", to Mikaa for the quote from "The Enterprise Incident", to John Mesiavech for his calculations of the travel time from Vulcan to Romulus, to Thom West for some supportive annotations and to Ambassador for a couple of suggestions and corrections. Some images were taken from Neutral Zone Database.